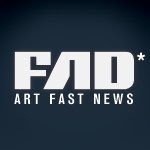 I was asked to do an interview for FAD ART….Here it is…..
Jonathan Darby answers FAD’s Questions. 1 When did you start to make art? I’ve been sketching since a very early age. I remember I had a massive period between the age of 6 and 9 where I only used to religiously draw Bart Simpson surfing on a single giant wave. One day I found a dusty copy of Martha Cooper and Henry Chalfant’s Subway Art on the bookshelf. I developed a fascination for graffiti and I remember constantly browsing the book. I would copy lettering from the old masters until I began to develop my own style. By the age of 12 I was well and truly hooked, sketching at any opportunity. When I was 17 I began to move away from graffiti and began to practice a lot of still life. I guess that this is where my fascination with portraying people was born….